Olive Branch, MS: Times are lean right now, and especially so for hot rodders on a budget. 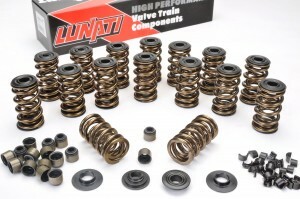 To address this frustrating inconvenience, Lunati bucks the market with a new LS-engine dual valve spring kit (PN 73925K1LUN) for about $50 less than competitors. With a maximum lift capability at 0.660-inch, the Lunati kit serves the majority of popular camshaft applications. The kit is complete with dual valve springs, steel retainers, locks, valve seals and spring locators and represents a drop-in installation for many popular LS applications. OEM LS engines use single-wire valve springs designed around factory camshafts. 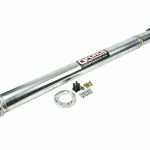 Aftermarket camshafts require new valve springs suited for high lift and serious ramp rates. Lunati’s retainers and spring locators are CNC-manufactured from 4140 alloy steel. The locators pilot onto the valve guides and locate the inner diameter of the inner valve springs, preventing them from abrading the spring pockets in the aluminum heads. In common with all dual-spring retainers, these new Lunati types have a group of steps machined into their underside (which locate the upper registers of the valve springs) and a bore machined to accept the 7-degree valve locks. The locks are equipped with inner bead locks and the 7-degree interference angle between the locks and the retainers is favored by many who believe it causes the locks to clamp the valve stems tighter. Through careful CAD and FEA design efforts, Lunati engineers have developed a new valve spring retainer design using wear-favorable alloy steel, yet nearly matching the weight advantage of Titanium. For street/strip longevity, Lunati’s lightweight alloy steel retainer is unbeatable. Viton steel-jacketed valve seals complete the kit. 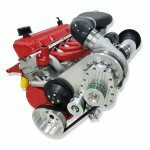 The steel jackets ensure the valve stem seals remain tight around the valve guides and also protect the seals should the inner springs come in light contact with them. 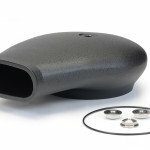 The Viton material is ideal for resisting heat and oil, particularly some of the more aggressive oil additives that cause ordinary seals to swell and distort. 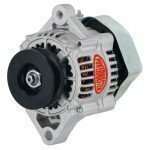 NOTE: Small-block Chevy applications: While GM LS engines will be the most popular use of this spring kit, the similar kit (PN 73925K2LUN) is also available with the proper retainers and locks for the traditional small-block Chevy engine.